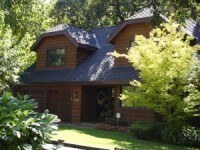 5 REASONS TO HIRE ROOFMAX FOR YOUR EAST BAY AREA PROJECT. 1. Established: We have been in business for over 20 years, and have a proven record of backing up our warranties. That’s why we have a long list of satisfied customers! This comes at a time when a significant percentage of contractors close up shop after only a few years because they don’t know how to run their business, leaving customers with inferior protection. 2. Experience: We are CertainTeed Master Shingle certified installers, an honor that is not given out to just anyone and we have won the CertainTeed Presidential Award for excellence. We are also GAF “MasterElite” installers as well as a Owens Corning Platinum Preferred contractor. Our product line is top-of-the-line in the industry; as a result we can offer the best and most comprehensive warranties in the industry, making us your safest and best choice in roofing. 3. Training: We continually train our staff in professionalism, technical proficiency, and personal growth; have established a strong customer service culture within our company; and ensure that our customer will have a positive experience from the moment they come into contact with us. The competition is just interested in doing quick and easy work. 4. Satisfied Customers: 70% of our business comes from referrals provided by happy customers; and 95% of our customers would refer us to their family and friends. We could not ask for better advertising than our customers’ referrals! 5. Stability: At Roofmax we believe in treating our employees like family – with dignity and respect. We are steadily growing and consistently have an excellent track record of employee retention, giving us a cadre of experienced and talented professionals. That’s why our customers appreciate the quality of a professional Roofmax experience.